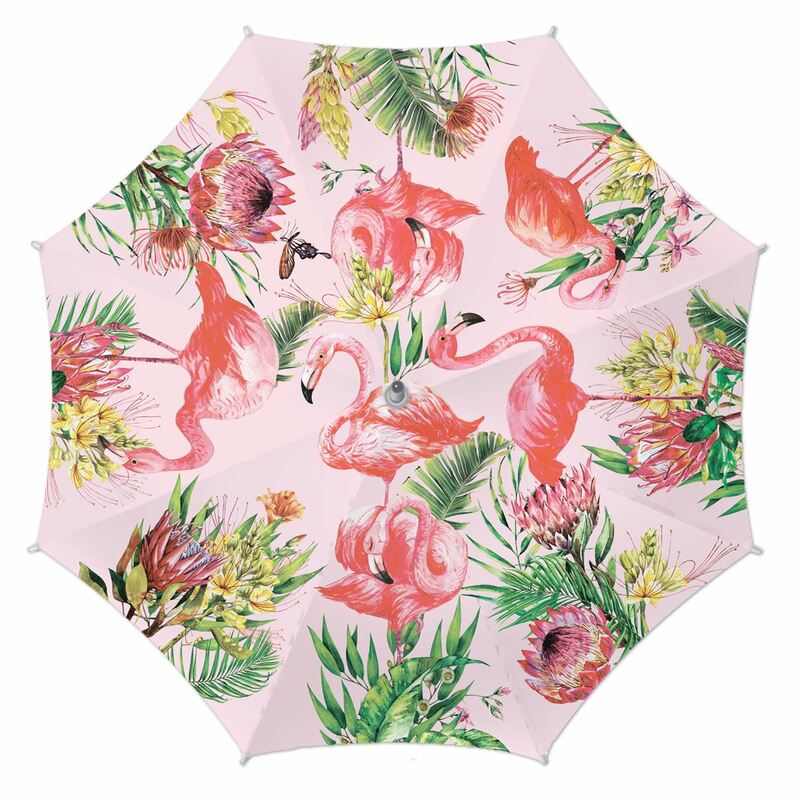 Flamingo Stick Umbrella Shop the largest selection of Michel Design Works umbrellas - Flamingo Collection. Plus enjoy free shipping on all US orders over $50. Rain or shine, our sturdy, generously sized umbrella offers shelter from the weather. It has a wooden handle and opens with the push of a button, and the bright, bold patterns mean you?ll always stand out in a crowd.